Chocolate is highly mixable. Olive oil is another great mixer. Combine the two, and what do you get? The result may not quite as popular as peanut butter + chocolate, but it's still smooth and satisfying. 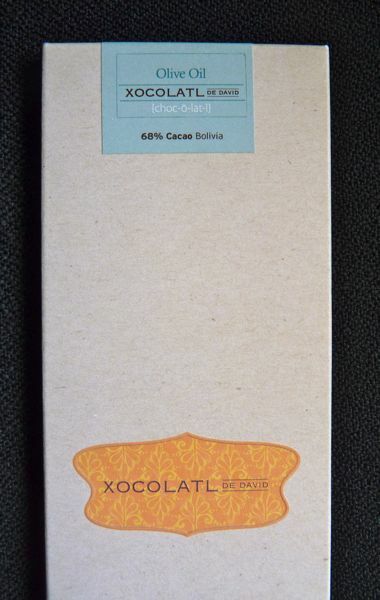 Xocolatl de David (Portland, OR) has blended a darkish chocolate 68% cacao (Bolivia) bar with extra virgin olive oil, and a touch of butter and fleur de sel (salt). What's not to like?